Two halves of a whole sharing a Platonic moment, perhaps? Nicely minimalist. Their characters change for me all the time depending on my mood..! Thanks Scilla. Blimey, they’re saucy! I love how you light your shots, Cath – there’s a very particular hint of melancholy to it. Ha! Yes they are a bit aren’t they. Yes it’s funny – I’m not really the melancholic sort, but it does seem to creep out creatively somehow..! They are just oozing fig appeal. I want to eat them, actually! 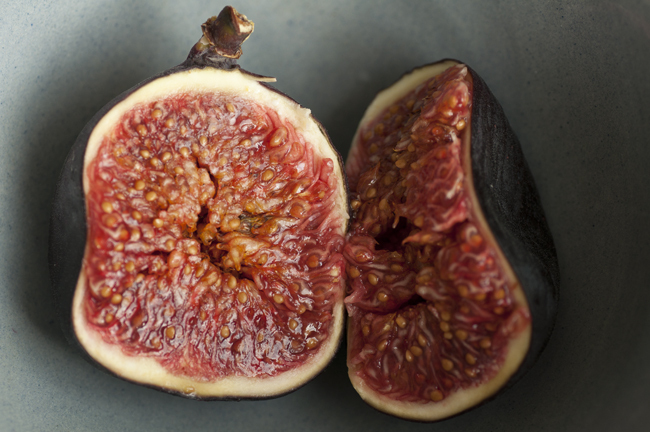 Fig appeal, haha, yes they were particularly figgy figs..! I want to give them privacy;)–so intimate an image, but really wonderful in it’s color, texture and emotive quality. Figs seem to be endlessly photogenic.